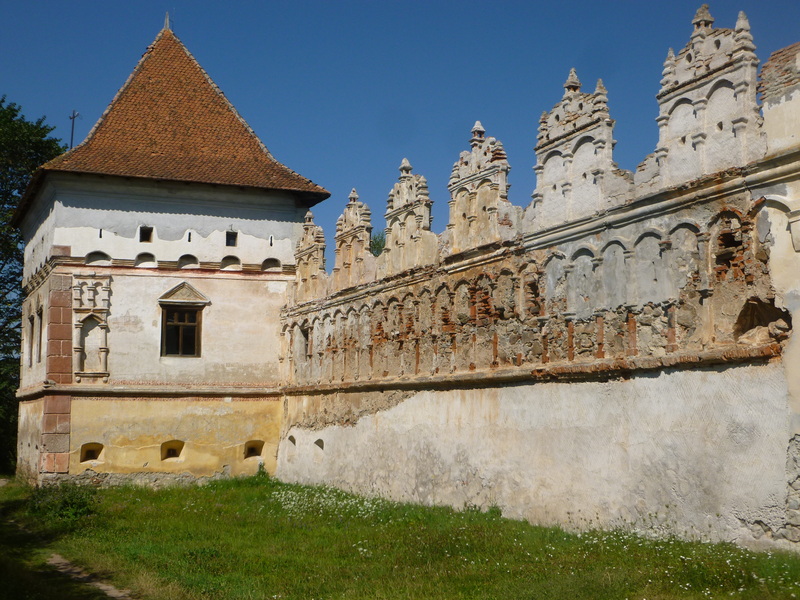 As I said in my previous post, here are details of some Transylvanian villages that didn’t make it into the latest edition of the Rough Guide to Romania. There are more authentically rural places just southwest of Bran in Moeciu, all very clean with lots of stripped pine and big breakfasts. Atop the spectacular Bran or Giuvala Pass (1290m), 14km south of Bran, FUNDATA is one of the highest villages in Romania, and is served only by occasional Braşov–Câmpulung buses. Little more than a scattering of small farmhouses, with a few new guesthouses, it hosts the popular Mountain Festival (Nedeia Muntelui) over a weekend in late August or early September. The underlying purpose is to transact business: exchanges of handicrafts, livestock and (formerly) of pledges of marriage. Straddling the border between Transylvania and Wallachia, the Festival was important as a means of maintaining contacts between ethnic Romanians in the two provinces. Sâmbăta de Sus, 18km southwest of Făgăraş (and not served by buses), is known as a gateway to the Făgăraş mountains and for the Sâmbăta Monastery, founded in 1696 by Constantin Brâncoveanu, which houses a famous collection of icons painted on glass, as well as old books, parchments and vestments. The monastery is actually 9km south of the village (and 8km east of Victoria) in the so-called Sâmbăta Climatic Resort, a random collection of guesthouses and a busy restaurant (complexsambata.ro), as well as a ski skope and ropes course. The asphalt ends here, with a forestry road continuing south, marked with red triangles that lead up to the Valea Sâmbatei hut (3 hours hike) and a path on to the main ridge of the Făgăraş massif (another 2 hours). Count Kalnoky also manages Prince Charles’s lovely house in the tiny village of Zalánpatak, in the middle of nowhere between Sfântu Gheorghe and Baraolt, where the forests are full of bears and other wildlife. 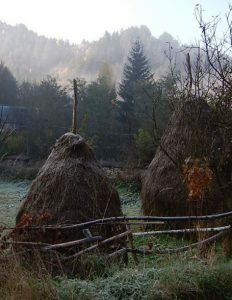 The next village along the E60 from Criţ (2km to the left) is CLOAŞTERF (Klosdorf), where many houses have been restored with funding from the Mihai Eminescu Trust. Within a simple square wall in the centre of the village, the church is a modest Saxon construction finished in 1524 and with three of its four original towers remaining – the freestanding bell tower, meanwhile, dates from 1819. Ask for the key at no. 99, about 200m back down the road near the entrance to the village. The main road south to Sibiu (DN14) passes through rolling hills and orchards, and more Saxon villages, notably Slimnic (Stolzenburg; 17km north of Sibiu), which is interesting because the church, begun in 1450, was never finished, but the ruins of a substantial fortress around it survive. Along the railway, slightly to the west, there’s little worth stopping for other than OCNA SIBIULUI (Salzburg), a bathing resort with fizzy, very salty water, which bubbles up in four lakes formed in abandoned salt-workings. They’re very popular, especially on summer weekends, but facilities are still fairly simple, with basic changing rooms. The nearest train stop to the spa is Băile Ocna Sibiului, 2km north of Ocna Sibiului station proper, with a decent campsite adjacent. Just beyond the Ştrand complex is the stunning Helios complex, built in 1906-9 in Secession style, recently refurbished but not currently open; Strada Băilor continues west to the centre of the village, where there’s a walled church (1240-80) now used by Hungarian Calvinists, an Orthodox church rebuilt by Constantin Brâncoveanu in 1695, and a standard Habsburg Catholic church completed in 1747. By bus: Buses from Sibiu to Ruşi pass through Slimnic after 20 minutes (15 Mon-Fri, 3 Sat, 0 Sun). Buses from Sibiu to Ocna Sibiului take 40 minutes (9 Mon-Fri, 2 Sat, 0 Sun). By train: Trains call at Băile Ocna Sibiului. Destinations: Copşa Mică (6 daily; 50min); Mediaş (5 daily; 1hr 15min); Sibiu (7 daily; 20min). From central Cisnădie, it’s a 3km walk west along Str. Măgurii and the valley road towards the striking 70m-high rock that looms over CISNĂDIOARA (Michelsburg). Crowning the summit of the hill is a tiny Romanesque church, built in 1223, which frequently withstood Tatar attacks; the villagers defended it by hurling down rocks which had previously been carried into the citadel by aspiring husbands, the custom being that no young man could marry until he had carried a heavy rock from the riverbed up the steep track. The interior is bare save for a tiny stone altar, but the views over the 2m-high ring wall to the snow-streaked peaks of the Făgăraş mountains are superb. The stiff fifteen-minute climb to the church begins from the crossroads in the centre of the village – someone should in theory be present to collect the €2 fee between 10am and 6pm daily, but if not (and the gate is shut), go to house no.246 or call 0269/564 332. Organ recitals and other concerts take place in the Baroque Lutheran church in the village at 5pm on Sundays in July and August. There are five buses a day (Mon–Fri only) from Sibiu; otherwise it’s a 2km walk from where buses terminate in Cisnădie. Camping Ananas, Str. Pinului; 0269/566 066, 0741/746 689, ananas7b.de. Under 1km west of the central crossroads, this lovely campsite is geared up for campers (€6) and caravans (€8) but also has space for tents (€2), as well as chalets (from €12 for 2), wooden cottages (from €28 for 2) and three rooms. Pension Subcetate, no.252; 0369/596 051, 0740/220 035, sub-cetate.ro. In the centre of the village, just down from the path up to the church, this is a lovely, homely place with bright a/c rooms and traditionally painted furniture, it also has a good restaurant (Tue-Sun noon-9pm). From Sibiu, hourly buses trundle south for 12km to RĂŞINARI, a tight-packed village with a painted Orthodox church built in 1752, and an ethnographic museum (Tues–Sun 10am–5pm), showing the usual range of local costumes and pottery. It’s known to Romanians as the birthplace of the anti-semitic prime minister and poet Octavian Goga (1881-1938) and of the nihilist philosopher Emil Cioran (1911-95), whose view was that the only valid thing to do with one’s life is to end it, although he never quite brought himself to do this. Another noted philosopher, Constantin Noica (1909-87), spent the last years of his life in nearby Păltiniş, removing himself as far as possible from Ceauşescu’s Romania but never quite bringing himself to repdudiate it. There’s an enjoyable Cheese and Ţuica Festival here in late August. Road and rail are reunited at MIERCUREA SIBIULUI (Reussmarkt), a village whose name derives from the Romanian word for Wednesday, the traditional market day here. In the centre of the village is a small, well-preserved thirteenth-century basilica, fortified during the fifteenth century, with food stores on the inside of its oval ring wall. In CÂLNIC (Kelling/Kelnek), about 8km west on the DN1/7 and 3km south (from near the Cut train halt), a massive keep and a very simple Romanesque chapel, both built around 1300, are enclosed within one-and-a-half rings of walls that resisted several Turkish sieges. Unusually, the castle was sold to the villagers in 1430, and has recently been restored and opened to visitors, with a small museum in the chapel. In Gârbova, on a back road between Miercurea Sibiului and Câlnic, the Dutch-owned Urwegen guesthouse and Poarta Oilor campsite, with kitchen and swimming pool, is at Str. Eminescu 573 (0258/748 001, 0748/532 978, guest-house-urwegen.com; €35). The town of SEBEŞ grew up on the proceeds of the leather-working industry, trading mainly with Wallachia; as Mühlbach, it was the capital of the Unterwald, the westernmost zone of Saxon settlement, and the German street names have recently been resurrected. In 1438, a Turkish army demanded the town’s surrender; a number of inhabitants barricaded themselves in one of the towers of the citadel, which the Turks stormed and burned. The only survivor, a student aged 16, was enslaved, escaping twenty years later to write a best-selling exposé of the bogeymen of fifteenth-century Europe. The Student’s Tower (also known as the Tailors’ Tower), at Str. Traian (or Parkgasse) 6, is thus one of the town’s main sights, although it’s not actually open. Immediately north of the town you may glimpse the dramatic Red Cliffs (Râpa Roşie; rapa-rosie.ro), now a natural reservation. The large Lutheran Church in the centre of town was built in Romanesque style between 1240 and 1270, with a disproportionately large and grand Gothic choir added by 1382, followed by the upper part of the tower in 1664. The choir boasts Transylvania’s best Parleresque statues, and a large polychrome winged altar dating from 1518. The cemetery chapel on its north side, built in 1400, is now used by the Uniates. In the late fifteenth-century House of the Voivodes on the north side of the main square is a museum featuring displays on Roma, Saxon and even African ethnography; the art collection includes works by Sava Henţia, born in Sebeş in 1848. By train The train (Sebeş Alba) and bus stations are just east, in the new town. Note that if you’re travelling the few kilometres north to Alba Iulia, you’re best off catching a bus, saving the lengthy wait for a train connection at Vinţu de Jos. Destinations: Deva (3 daily; 2hr); Sibiu (6 daily; 1hr 30min-2hr 20min). By bus Conveniently placed between two junctions on the new A1 motorway, Sebeş sees a lot of buses to Western Europe (mainly Germany). Destinations Alba Iulia (1/2 hourly); Bucharest (5 daily); Câmpeni (2 daily); Cluj (12 daily); Deva (3 daily); Sibiu (12 daily); Timişoara (2 daily). Germany (several daily). La Dolce Vita, Str. Vânători 5; 0258/733 470, 0358/401 223, ladolcevita-rist.ro; Tues-Sun noon-midnight. A decent Italian restaurant and terasa, with a full menu of antipasti, pasta and pizza plus a salad bar, near the bus station. Michelle Ma Belle, B-dul Blaga 7; 0742/780 641, michelle-ma-belle.ro; daily 9am-9pm. On the main road between the church and the station, this is a good cofetărie that also serves ices. In the hills to the east of Odorheiu nestle several low-key resorts that are known for their mineral springs and hiking and mountain-biking opportunities (though not in winter, when this is the coldest part of Romania). The road towards Miercurea Ciuc passes through Satu Mare (Máréfalva), renowned for its carved wooden Székely gates, BĂILE HOMOROD (Homoródfürdó), where you can bathe in hot pools, and VLĂHIŢA (Szentegyházasfalu), which also has mineral springs as well as a campsite. From the pass about 13km beyond Vlăhiţa a poor road leads 4km north up to HARGHITA BĂI (Hargitafürdó), a spa and local ski resort in the thickly forested Harghita mountains, renowned for their wildlife. There are eleven buses a day (eight on Sundays) between Odorheiu Seuiesc and Miercurea Ciuc, plus 12 (Mon-Fri) from Odorheiu as far as Vlahiţa. Harghita Băi is reached by two buses a day from Miercurea Ciuc rail station, or it’s less than an hour’s walk from the turning. The village of LĂZAREA (Szárhegy), 6km north of Gheorgheni on the DN12 (one stop by train), is worth a visit to see Lazar Castle, just below the Franciscan monastery whose white tower is visible from passing trains – it’s famed as the childhood home of Prince Gábor Bethlen at the end of the sixteenth century. In 1631 a fine Renaissance hall and frescoed facade were added to the fifteenth-century castle, but it was largely destroyed by fires in 1748 and 1842. The frescoes in particular have been gradually restored by artists who hold a summer camp here each year. The castle gallery (Tues–Sun 9am–5pm) exhibits their work, and there is a display of sculpture in the village’s central park, open all year. On a hillock just to the east the walled village church sits just above the road leading up to the monastery. Ten local buses come from Gheorgheni daily (Mon-Fri; to Remetea) in addition to the buses to Topliţa and beyond. The train station is just southwest of the centre, with four trains a day to Gheorgheni and Topliţa, two continuing to Târgu Mureş. It’s well worth a detour to the Museum of Székely Life and Culture, 10km down the Braşov road from Târgu Secuiesc and 3km north to the end of CERNAT DE JOS (Alsó-Csernáton): take the road signposted to Cernat de Sus, and fork left just beyond the church. An old manor house displays excellent collections of wooden implements, cast-iron stoves, painted wooden dowry chests (from the 17th century on), textiles and costumes, ceramics and old radios; unfortunately, information is in Hungarian only. A number of village houses have been moved here, including a couple built in 1690 and 1790, and some fine carved beam gates, the oldest dating from 1761, as well as a water-mill and some farming implements. If you want to stay over, the museum has a couple of rooms, and there’s a guesthouse at no.1015. Five buses run from Târgu Secuiesc to Cernat de Sus on weekdays; the last returns at 1.30pm. From the tiny junction of Deda the railway for Beclean and Cluj heads west, while the DN15 and a minor rail line lead south towards Târgu Mureş, a route marked at regular intervals by the castles of the Hungarian aristocracy that once ruled here. BRÂNCOVENEŞTI (Marosvécs), 13km south of Deda and served by slow trains only, is known for the fine Kemény castle (visible across the river from the train) dating from the fourteenth century and best known for housing disabled children judged too sick or traumatized to recover during Ceauşescu’s regime. The main town on this route, 10km beyond Brâncoveneşti, is REGHIN (Szászrégen/ Sächsisch Reen), best known for its amazingly successful violin factory, located here because of the wealth of fine sycamore (also known as flamed maple) in the Gurghiu valley. You can see their products (including violas and ‘cellos) at the Gliga shop at Str. Pandurilor 120 (0749/049 404 gliga.ro; Mon-Fri 8am-4pm). There’s also a large Saxon church at Str Călăraşilor 1, built in the 14th and 15th centuries and rebuilt after a fire in 1708 with an unusual double gallery. From Reghin it’s 14km to GORNEŞTI (Gernyeszeg), where the Baroque palace of the Teleki family, which supplied many of Transylvania and Hungary’s leading statesmen, was built in 1771-8 by the Austrian architect Andreas Mayerhoffer, with a fine dendrological park around it. 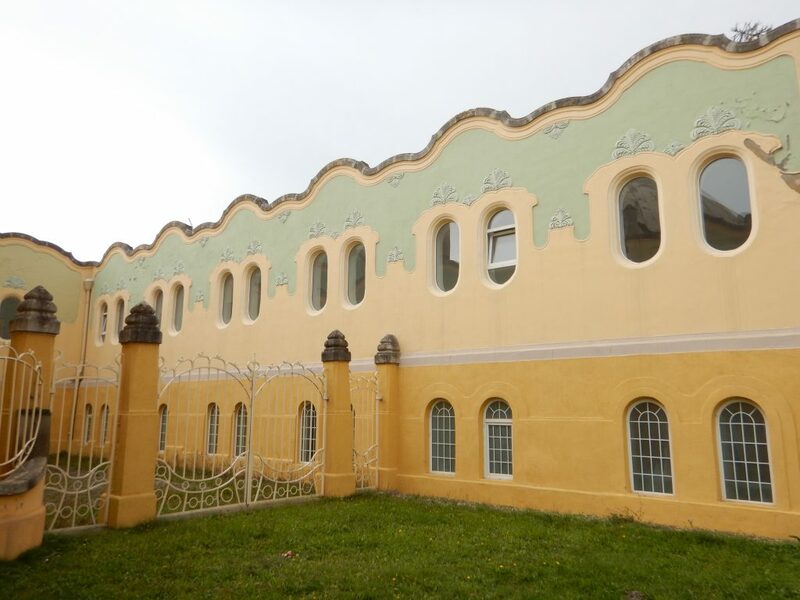 The palace served as a TB sanatorium under communism and was returned to the family in 2011; the current count is paying for its restoration by hosting weddings and other events, but visitors are welcome at other times (donations welcomed; 0757/779 649, gernyeszeg.com). The Teleki family had another kastely in Dumbrăvioara (Sáromberke), just 4km further south (and 12km from Târgu Mureş); built in the 1770s and reworked in Secession style in 1912, it also sits in a dendrological park next to the Calvinist church that houses the tombs of 15 family members. It also served as a hospital and was put up for sale in 2015. 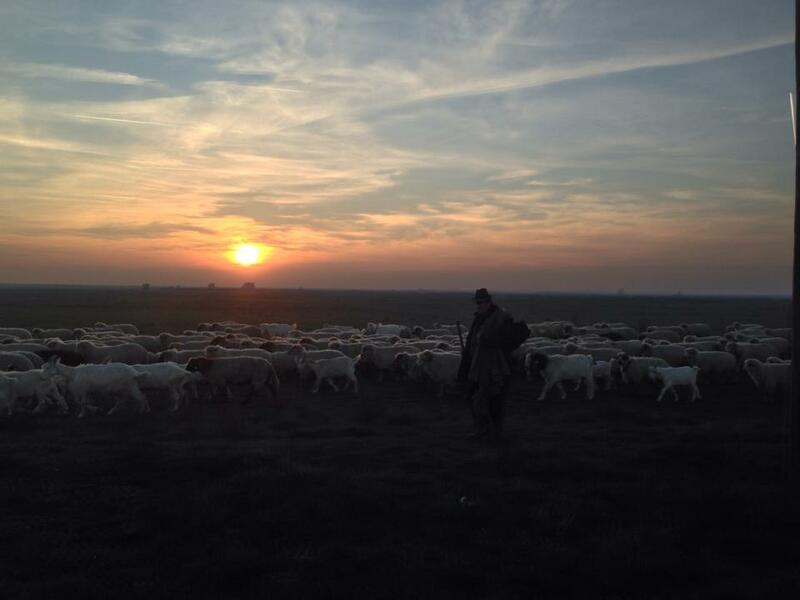 The main reason to stop in Reghin is for bus connections (from immediately outside the train station) to the traditional shepherding communities of GURGHIU, 14km east, and HODAC, 8km further. Gurghiu is known for its Girl Fair (Târgul de Fete) on the second Sunday of May, similar to that of Muntele Găina (see box). At Hodac, there’s a Measurement of the Milk Festival on the first Saturday of May, while the second Sunday in June sees the Buying Back of the Wives Festival, reaffirming the economic underpinnings of matrimony. Check event dates at the tourist office in Târgu Mureş. During the Festivals, special buses run from Reghin; at other times, both villages can be reached by buses bound for Dulcea and Toaca, while Gurghiu is also served by buses to Glăjărie and Orşova. Just to the west of Buru, a road turns north to the tiny village of BĂIŞOARA, from where it’s 14km west to the single-slope Muntele Băişorii ski resort; here, you can stay at various guesthouses or the Băişoara cabana (0264/314 569). Continuing north from Băişoara, the road passes through SĂVĂDISLA (Turdaszentlászló), where the Tamás Bistro restaurant at no. 153 (0264/374 455, tamasbistro.ro) offers the best Magyar cuisine in the area, and finishes at Luna de Sus, just west of Cluj. From Abrud buses run to BUCIUM POIENI, 13km east, the centre of a comuna of six small former mining villages; start here for an hour’s climb to two basalt towers known as the Detunata, which can also be reached by hiking (or cycling) east from Roşia Montană for 3 hours, following red cross markings. Continuing south from Sâncraiu/Kalotaszentkirály it’s 4km to CĂLATA (Nagykalota) and another 5km to CĂLĂŢELE (Kiskalota), in both of which you’ll see carved wooden homesteads and on Sundays home-made folk costumes. Sixteen kilometres beyond (connected to Huedin by three buses on weekdays) is BELIŞ (Jósikafalva), a village moved (along with its lovely wood church) from the valley when the artificial Lake Fântânele was created; there’s now a small lakeside resort comprising two identical two-star hotels (both 0264/354 183), and various guesthouses. MĂNĂSTIRENI (Magyargyerómonostor), on a minor road running south from the DN1 east of Izvoru Crişului and Huedin, has a lovely thirteenth-century walled Calvinist church whose gallery, pews and ceiling were beautifully painted in the eighteenth century. Just west is Văleni (Magyarvalkó), where many houses have decorated mouldings and the thirteenth-century Calvinist church has a wonderful hilltop setting and a collection of carved wooden graveposts, more typical of the Székely Land. In the valleys to the north of Huedin lie half a dozen villages with striking Gothic-inspired wooden churches – typical of those that once reared above villages from the Tisa to the Carpathians. The most spectacular, and the nearest to Huedin, towers over Fildu de Sus (Felsófüld), reached by a 10km track west from Fildu de Jos (Alsófüld) on the Huedin–Zalău road. Built in 1727, the church was painted in 1860, with scenes of Daniel in the den with some wonderful grinning lions. There’s one daily bus (at 5pm) from the railway crossing in Huedin to Fidu de Sus, and two to Zalău via Fildu de Jos, where there are guesthouses. The small town of BECLEAN (Bethlen), 25km east of Dej, was the ancestral seat of the Bethlen family, which provided several distinguished governors of Transylvania. The road and rail routes to Vatra Dornei and Suceava in Moldavia also divide here, drivers heading east to Bistriţa while the train runs further north via Năsăud and Salva, also the route to Sighet in Maramureş. From Salva, 49km northeast of Dej, road and rail routes head north to Maramureş; 9km along this road is the village of COŞBUC, named after its most famous son, George Coşbuc (1866–1918), poet and activist for Romanian cultural revival. A couple of hundred metres north of a covered wooden bridge, his simple family home, built in 1840, is now a museum (Wed–Sun 9am–5pm; €0.50), with manuscripts, books and personal effects on display. Along the road to the north are several trout restaurants. NĂSĂUD (Nussdorf), 6km east of Salva, is at the heart of a region where villagers still wear their traditional embroidered waistcoats and blouses, and hats topped with peacock feathers. A selection of these is on display in the Muzeul Grăniceresc Năsăudean in the 18th-century barracks of the border guards at B-dul Granicerilor 25 (complexulmuzealbn.ro; Tues-Sun Oct-March 9am-5pm, April-Sept 10am-6pm; €1). Just 5km south along the Bistriţa road is the birthplace of Liviu Rebreanu (1885–1944), whose novels Ion, Uprising and The Forest of the Hanged give a panoramic view of Romania before World War I; the simple shingle-roofed house is now a branch of the museum (no.126A; Wed-Sun Oct-March 9am-5pm, April-Sept 10am-6pm; €0.50). Five buses a day head east up the valley to Vatra Dornei in Moldavia. The main railway route runs via Năsăud, just to the north, but there’s a branch line from Bistriţa as far as Prundu Bârgăului, from where it’s another 60km to Vatra Dornei, via the 1200m Tihuţa Pass. The scenery is dramatic, with huge hills draped in forests of fir trees, and villages that seem living monuments to a way of life unchanged for centuries. In Livezile, a long and attractive roadside village 8km from Bistriţa (local bus #3), the Muzeul Casa Sasească (Saxon House Museum; Wed-Sun April-Sept 10am -6pm, Oct-March 9am-5pm; €0.50), at Str. Dorolea 152, demonstrates a way of life that has not vanished further up the valley. Built in about 1870, the house has two large rooms, kept exactly as they’ve always been and stuffed with Saxon ceramics, folk dress, furniture, books and photos; out back there’s a large barn with several wine presses. To find the museum, head down the gravel path leading away from the roadside Lutheran church (the church key is at Str. Dorolea 197; 0263/270 109). There are now only half a dozen Saxon families left in the village. Climbing steadily eastwards, the DN17 (E576) reaches the scattered settlement of Piatra Fântânele, with the Hotel Castel Dracula at km108. Note that the map of hiking trails outside is incorrect; some trails don’t exist, while some that do aren’t shown. Just beyond lies the Tihuţa Pass, which may be blocked by snow for the odd day between late October and mid-May. Although the country is relatively densely settled near the main road, the surrounding mountains harbour more bears than in any other part of Europe, as well as red deer, boar and wolves; from the pass the view of the green ‘crests’ of Bucovina to the northeast and the volcanic Căliman mountains to the southeast is marvellous.